We offer a selection of methods to explore, connect and transform your ideas. If you would like to see your idea test printed or prototyped, describe your project details on our simple form. We’ll show you what your idea will look like, no strings attached. Please let us know how to reach you so we can call with any questions and get your tests to you. If you would feel better speaking with someone, please call 770-696-2591. 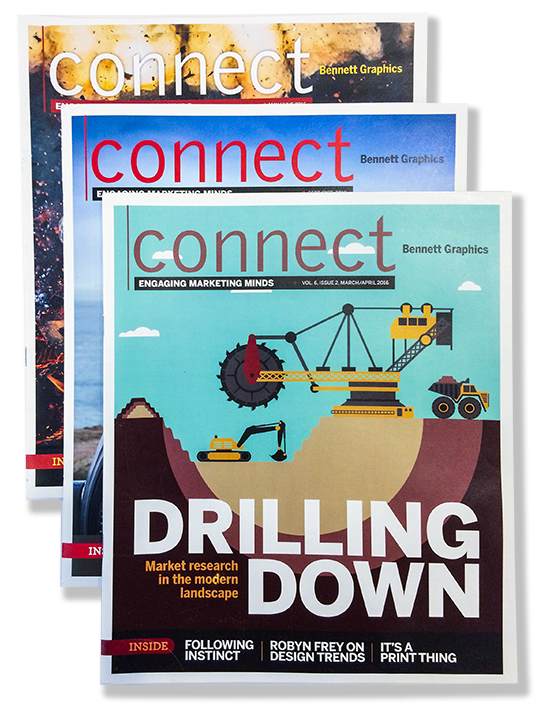 Published six times a year, Connect Magazine is focused on what marketers care about and how they define themselves. Subscriptions are free and come with no strings attached. 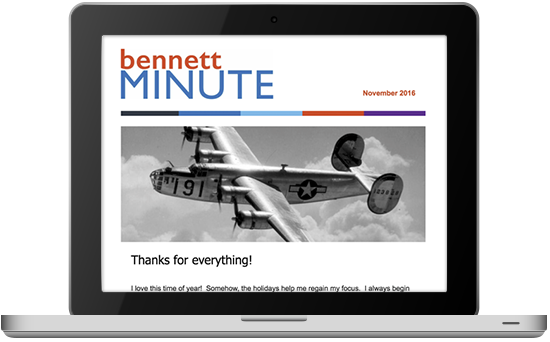 Our email update Bennett Minute, published six times a year, focuses on topical storylines, thought provoking concepts plus anything and everything related to marketing today. It’s the easy way to stay on top of your game!